This economical 20 lb bond (75.2 gsm) paper is great for quick sketching and is pre-punched for standard Acme alignment of animation pages. Choose from two sizes in bulk packs of 100 sheets. 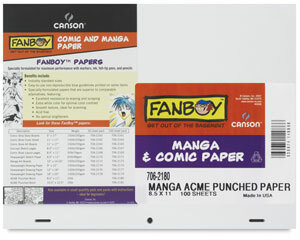 ® Canson is a registered trademark.™ Acme is a trademark. Hole Punched Paper, 8½" × 11"